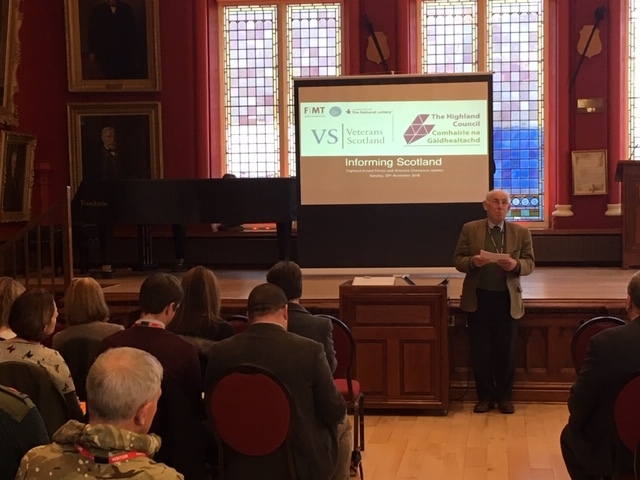 The last couple of months has seen several events take place as part of the Informing Scotland project, funded by the Forces in Mind Trust (FiMT), a £35 million funding scheme run by the FiMT using an endowment awarded by the Big Lottery Fund. Most recently, in Inverness we saw the Highland Gathering take place, with the Armed Forces Champion Cllr Roddy Balfour hosting a group of over 40 individuals representing the Armed Forces Community from organisations such as Highland Council, NHS, DWP, Legion Scotland, Poppyscotland, Citizens Advice Bureau and a number of Veterans Charities from across the region. The event was an opportunity to share information and increase awareness on the Armed Forces Community, where they are and most importantly what services exist locally to support the small number who may face difficulties after they leave the Armed Forces. 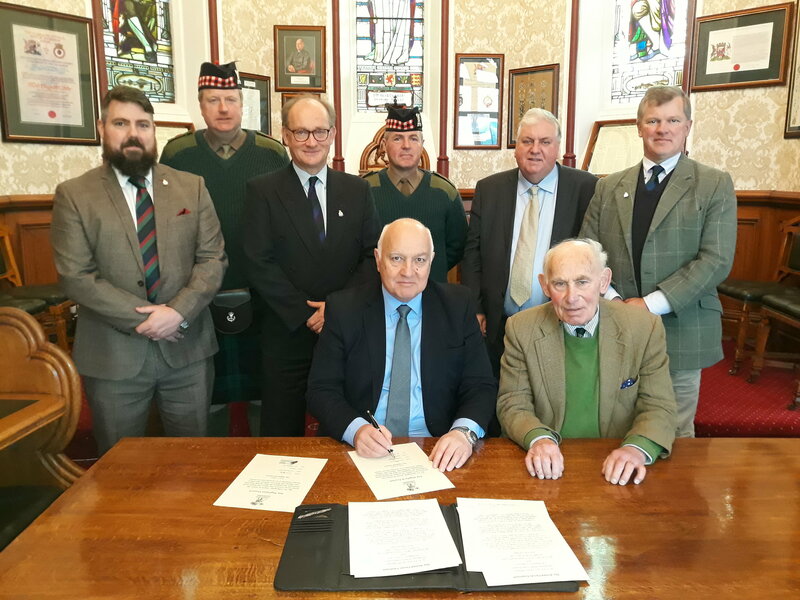 Highland Council took the opportunity to re-sign the Armed Forces Covenant and further commit to supporting those who have left the Services and chosen to settle in the Highlands. Special thanks to Jo Lenihan, Project Officer (Armed Forces Covenant) Highland and Moray, and Dot Ferguson, Highland Council for all of their support and assistance in making this a successful event that it is hoped will become an annual fixture.